Portugal have already destroyed 3 world class surf spots in the continent, Madeira and the Azores archipelagos. Moreover 10 surf spots have been damaged and the coastal environment continues to be in danger. The Atlantic coastline of Portugal is a natural wonder and at SOS – Salvem o Surf (Save Our Surf) we are doing our best to preserve it. Our first strategy, starting in 2002, was to oppose negative coastal works (negative to surfing) which high (PhD) level technical studies, we would try to discuss with politicians and project designers, supported by grassroots actions to show the community opposition to the projects. In 2008 we upgraded our strategy, with published studies in the media, showing how valuable surfing is and how fast it is growing. At the moment, surfing is widely assumed to be of the utmost importance in Portugal. In 2014 we further upgraded our strategy, trying to push coastal works further away from surf spots. We aim to show surfing development needs not only the physical preservation of surf spots but also the preservation of a wider neighborhood, including broader natural landscapes and biological habitats. In our talk we present case studies of our strategies, including our successes and our problems. Dr Pedro Bicudo spent his childhood submerged in the beach and maritime culture. Naturally, he started surfing as a teenager, at the beaches close to Lisbon and Alentejo, Portugal. He was deeply shocked when, in the mid-70s, the Sines Deepwater Harbour was constructed, rupturing the local culture and severely damaging the environment. He has a PhD in theoretical physics and is a professor and researcher at IST, the engineering school of Lisbon University. He coordinated several physics courses, has 70 published articles in international top cited journals, has presented 100 talks at international conferences, has edited or authored 10 books and has organised 10 international conferences. As an outreach, he applies his experience as a scientist and surfer to support the surfing community and the coastal habitats. 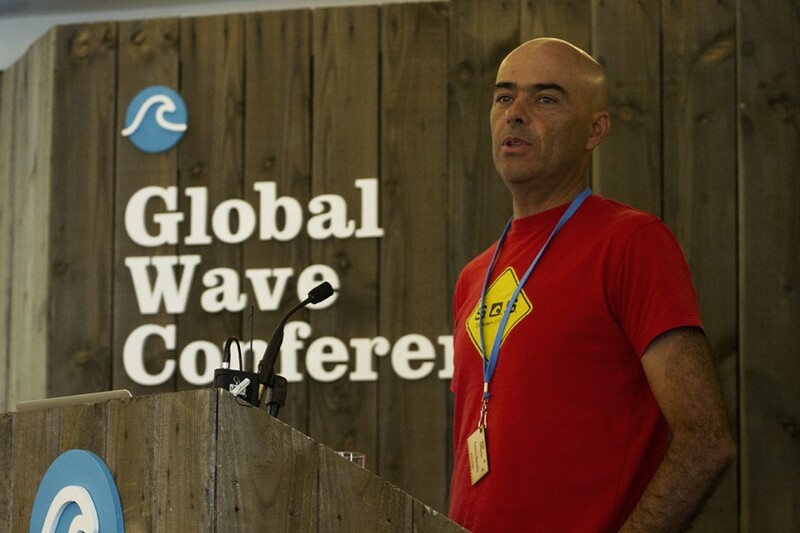 In 1995 he created the first Portuguese surfing website and wave forecast. Starting in 1999 he wrote 100 surf forecast columns in Expresso, the main newspaper in the country. In 2002 he was a founding member of SOS – Salvem o Surf, the leading surf spot saving and beach preserving NGO in Portugal. Since 2002, Pedro has coordinated several wave saving campaigns and done several technical studies for SOS – Salvem o Surf necessary for wave saving. In 2003 he was invited by students to prepare a colloquium The Physics of Surfing frequently presented in schools and universities. In 2007 he co-authored the first Portuguese surf patent for a CNC shaping machine, He also started working on the first artificial surf reef design, physical model and numerical model. In 2008 he co-authored the first scientific article by Portuguese authors on surfing and the viability of artificial surf reefs, and supervised several MSc theses’ in surfing. He also co-authored the first surf economics study in Portugal. In 2012 he was in the team who upgraded SOS – Salvem o Surf to a legal Environmental NGO. Presently he is the president of SOS – Salvem o Surf. He is frequently interviewed, mostly by Portuguese media, to discuss wave saving campaigns and coastal nature conservation.